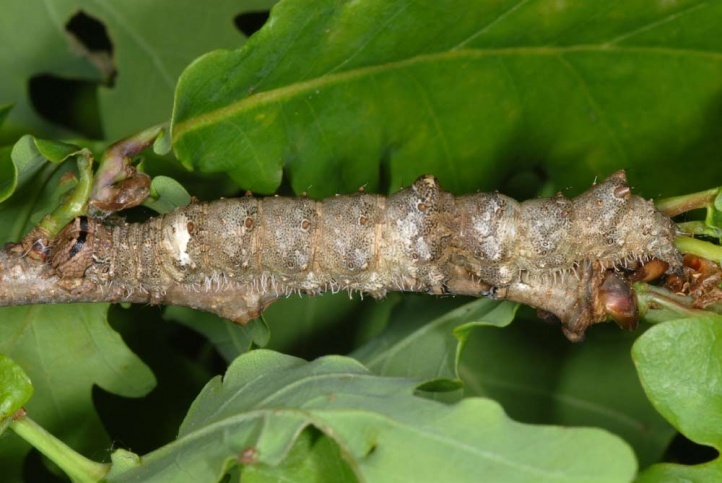 The caterpillars feed on Quercus species (Quercus robur, Q. petraea, Q. pubescens, etc.). 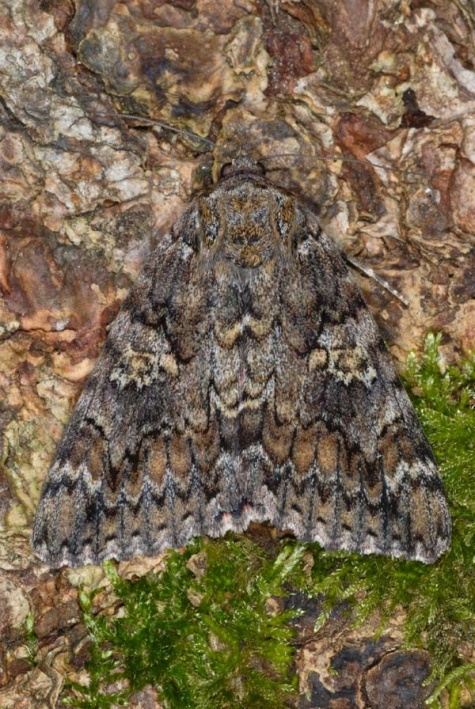 Catocala sponsa inhabits warm oak and mixed forests. 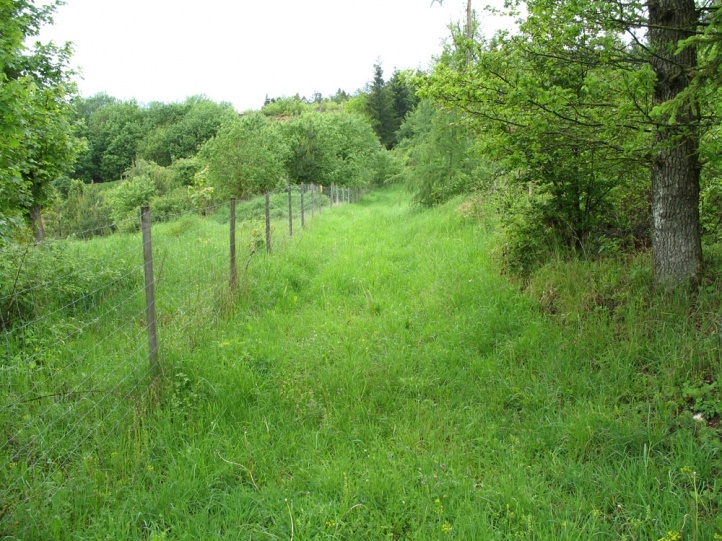 It can also occur on dry slopes with oaks. 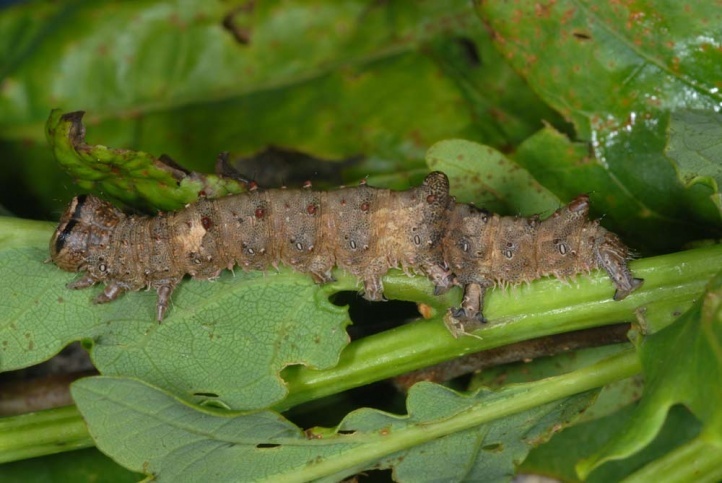 I found the caterpillar on the edge of warm, moist clearings with Satyrium ilicis and Coenonympha hero on the eastern Swabian Alb on both quite small oak trees and on lower branches of old trees. 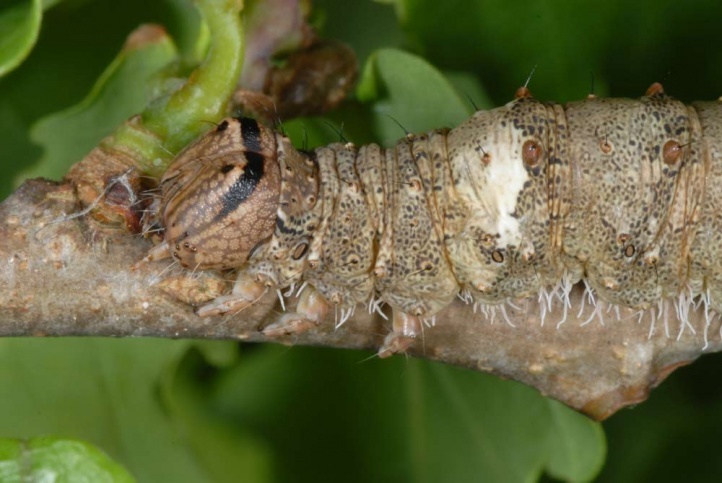 It can be assumed that a part of the larvae develop higher in the trees. The egg hibernates. 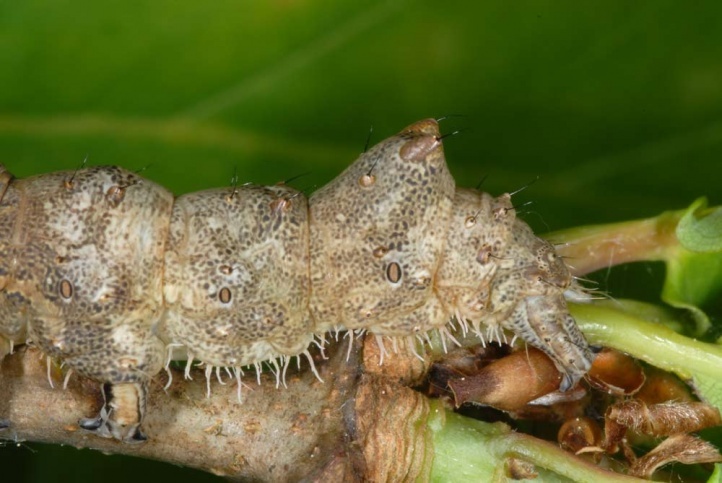 The caterpillar is often already mature in May or early June. On the other hand stragglers are observed even in early July. The animals rest during the day mostly on branches or the trunk. 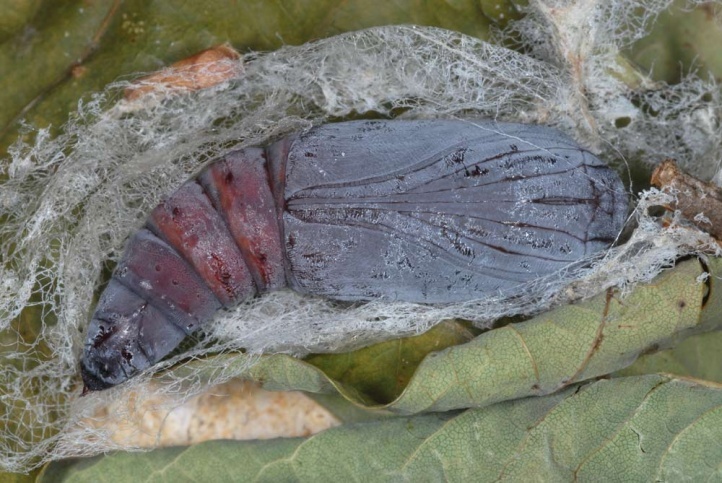 Pupation takes place in a cocoon that is usually applied between leaves or under loose bark. The adults fly from July to October. Because warm, sparse oak forests have shrunk considerably, this species has become rarer. But it may respond, at least in Central Europe, on the other hand positively on rising temperatures due to global warming. 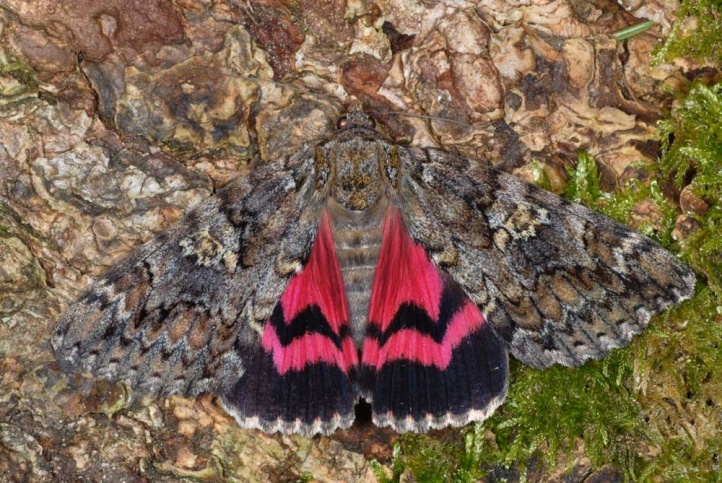 Catocala sponsa is distributed from north Africa across south and Central Europe (to southern England and southern Sweden) to the Urals, Turkey and the Caucasus.